ingredients in just one pot. Grilled sweet and spicy chicken skewers that is so easy to make! 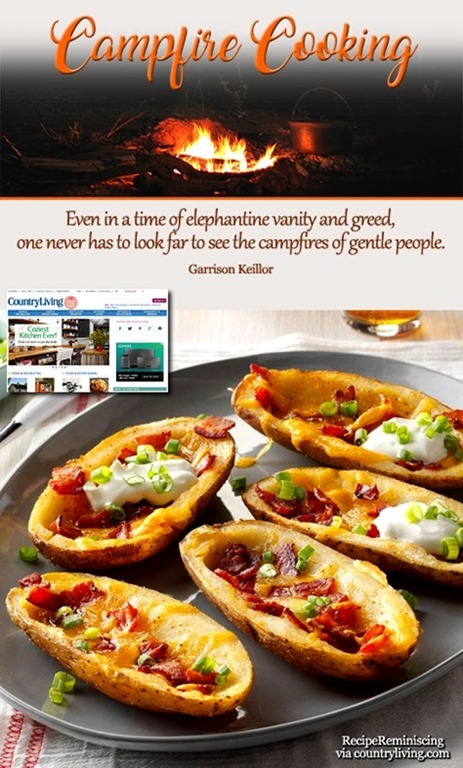 Great for the campfire or camp grill! Pineapple, peppers, and chicken grilled together to make a perfect meal. but there is fish and there are potato chips. the rest of the meal is prepared in the frying pan. 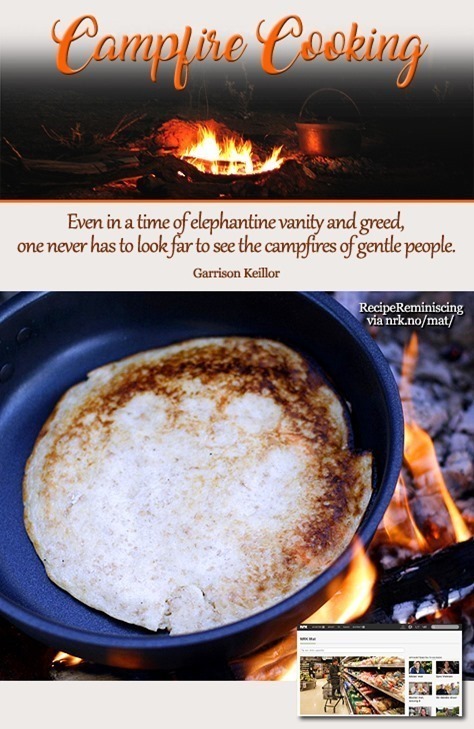 The ingredients for this breakfast can be prepared ahead, packed in plastic bokses and easily assembled at your campsite. Bread is a real food staple yet so many people buy a loaf at the store, depriving themselves of the love, the smell and the sense of satisfaction that is baking. Making bread outside is just as easy as picking it up from the supermarket. All you need is a cast iron frying pan and some foil. After the great response we received about the first one, we couldn’t wait to get started on a new, healthy and diet-friendly edition. 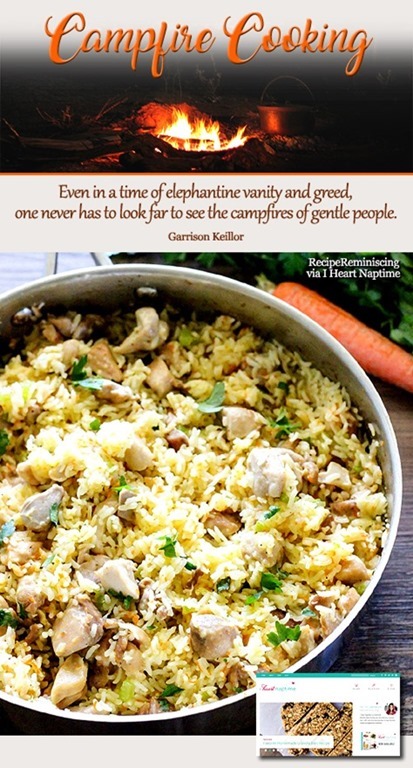 If you’re a vegetarian, a vegan, a pescatarian or you only eat gluten-free foods, you’ve no need to fear! 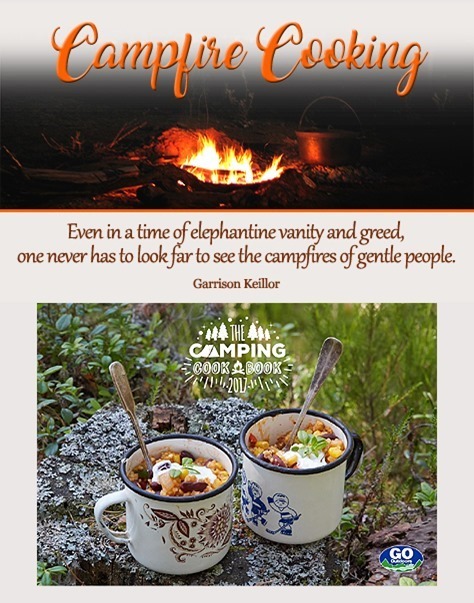 Our selection of easy-to-cook camping recipes has come from the top camping blogger and they have plenty of experience cooking to different specifications in the great outdoors! 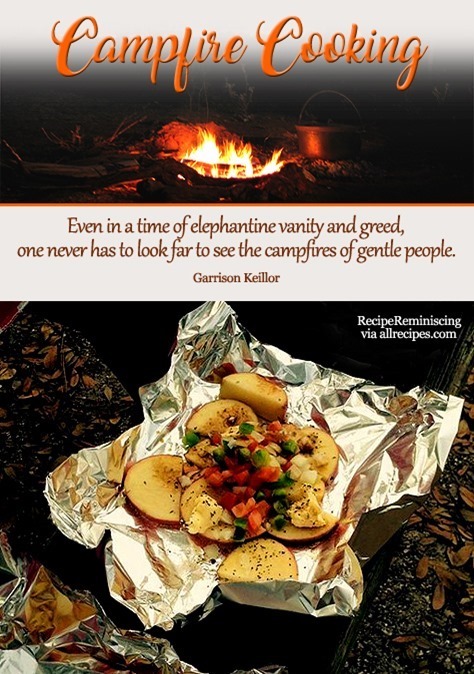 In fact, these recipes are so delicious, you’ll want to make them at home, never mind just by the campfire. Explore snacks, breakfast, lunch and dinner recipes and you’ll realise we’ve got all of your tastes covered right here! 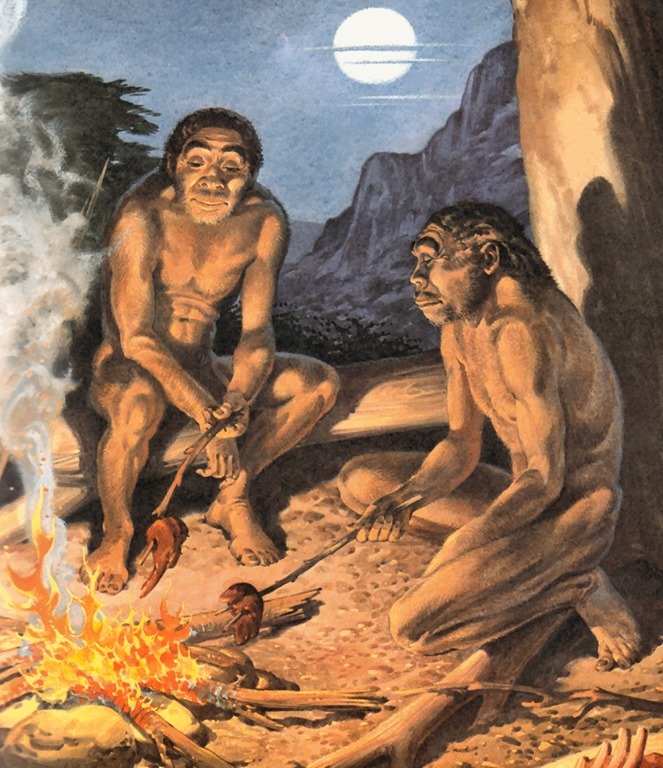 The history of grilling begins shortly after the domestication of fire, some 500,000 years ago. 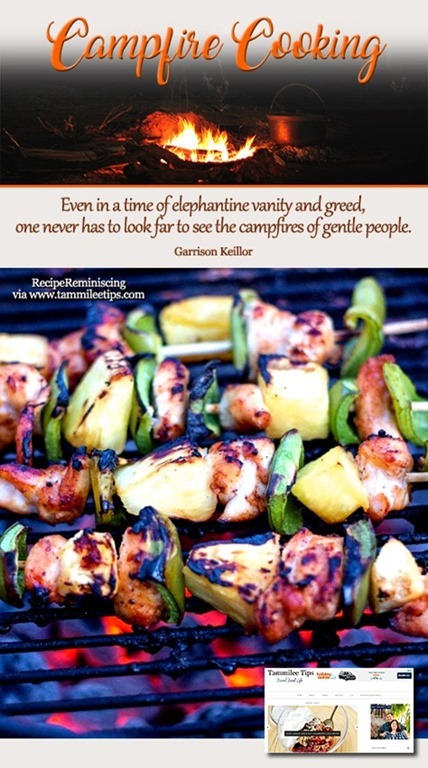 The backyard ritual of grilling as we know it, though, is much more recent. 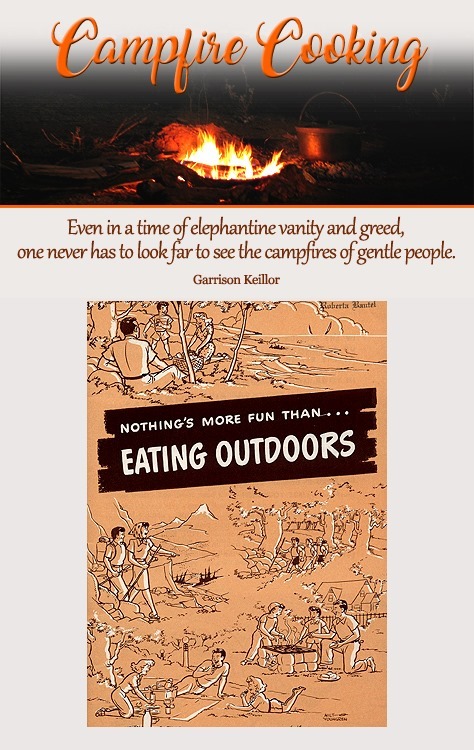 Until well into the 1940s, grilling mostly happened at campsites and picnics. 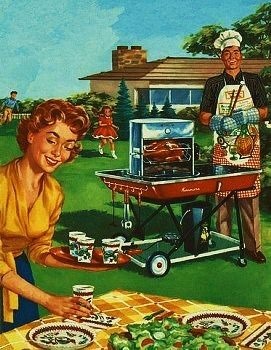 After World War II, as the middle class began to move to the suburbs, backyard grilling caught on, becoming all the rage by the 1950s. In suburban Chicago, George Stephen, a metalworker by trade and a tinkerer by habit, had grown frustrated with the flat, open brazier-style grills common at the time. Once he inherited controlling interest in the Weber Bros. Metal Spinning Co, a company best-known as a maker of harbor buoys, he decided the buoy needed some modification. He cut it along its equator, added a grate, used the top as a lid and cut vents for controlling temperature. The Weber grill was born and backyard cooking has never been the same. 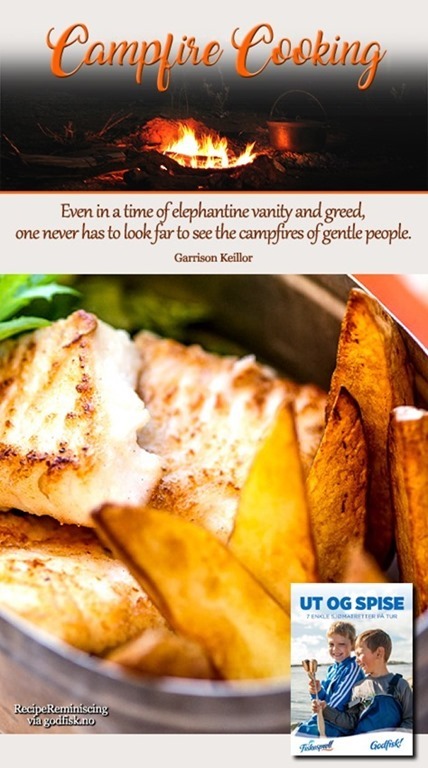 If man has been grilling since the Stone Age, he had to wait a good long time before he got his first taste of ‘barbecue.’ Just how long is a matter of debate, but the word’s etymology has been traced via the Spanish (‘barbacoa’) to a similar word used by the Arawak people of the Caribbean to denote a wooden structure on which they roasted meat. (The Arawak’s other contribution to the English language is the word ‘cannibal’.) Only the sense of a wooden framework survived the word’s transition to English; the context was lost. 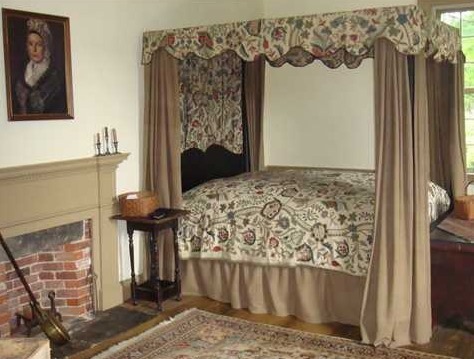 So, in the 17th century, you might use a ‘barbecue’ as shelving, or you might sleep on a ‘barbecue’ — but you definitely weren’t cooking with one. 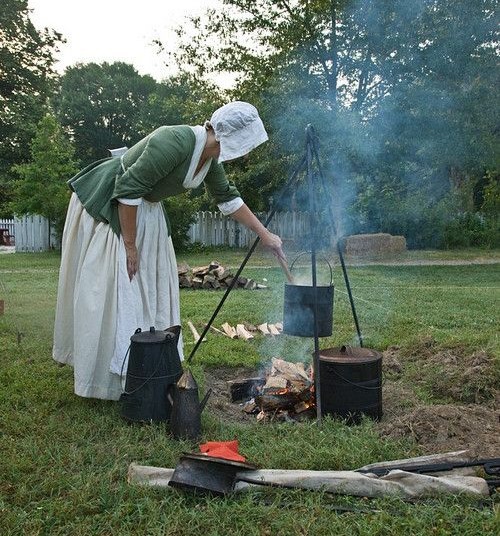 Like so many of the most recognizably “American” of foods and foodways — hot dogs, Thanksgiving dinners, even milk on breakfast cereals — barbecue goes back to 18th-century colonial America, specifically the settlements along the Southeastern seaboard. 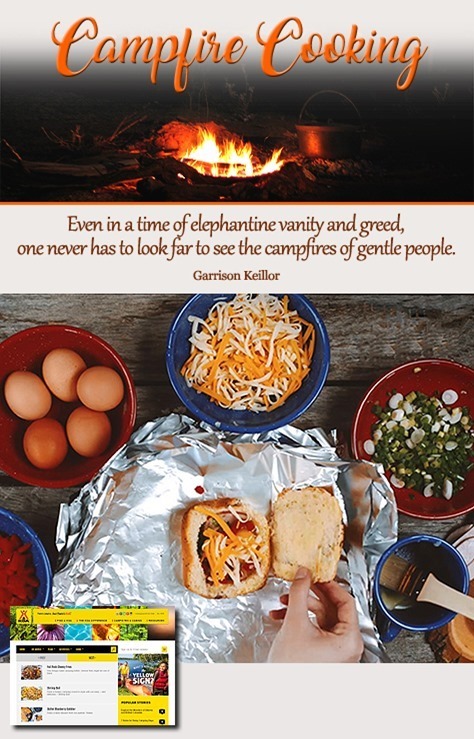 The direct descendant of that original American barbecue is Eastern Carolina-style pit barbecue, which traditionally starts with the whole hog and, after as many as fourteen hours over coals, culminates in a glorious mess of pulled pork doused with vinegar sauce and eaten on a hamburger bun, with coleslaw on the side. 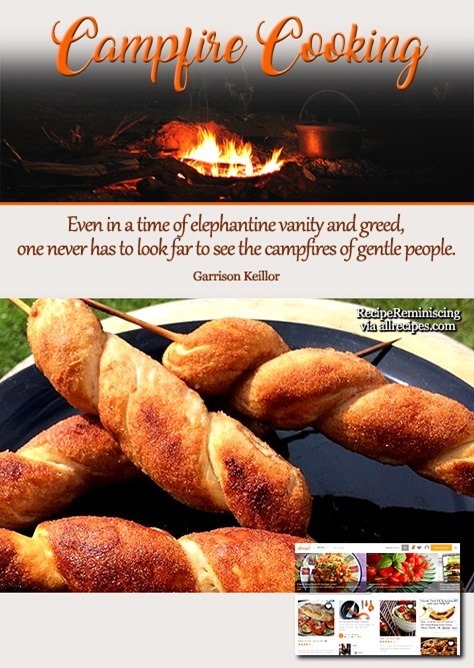 As the settlers spread westward, regional variations developed, leaving us today with four distinct styles of barbecue. Carolina-style has split into Eastern, Western and South Carolina-style, with variations largely in the sauce: South Carolina uses a mustard sauce; Western Carolina uses a sweeter vinegar-and-tomato sauce. Memphis barbecue is probably what most of us think of when we think of BBQ — pork ribs with a sticky sweet-and-sour tomato-based mopping sauce. Texas, being cattle country, has always opted for beef, usually brisket, dry-rubbed and smoked over mesquite with a tomato-based sauce served on the side, almost as an afterthought. Kansas City lies at the crossroads of BBQ nation. Fittingly, you’ll find a little bit of everything there — beef and pork, ribs and shoulder, etc. What brings it all together is the sauce: sweet-hot, tomato-based KC barbecue sauce is a classic in its own right, and the model for most supermarket BBQ sauces. From the book intro: This volume is respectfully tendered to its readers simply as a series of practical aid and suggestions about equipment, its selection, uses and care compiled in handy form, for the purpose mostly of aiding those about to start out for a “Trip to the woods”—especially so for those who desire and contemplate using a light (and a right outfit) which can be depended upon to smooth out the rough parts of a trip thus contributing to its success and the resultant benefits that accrue therefrom. 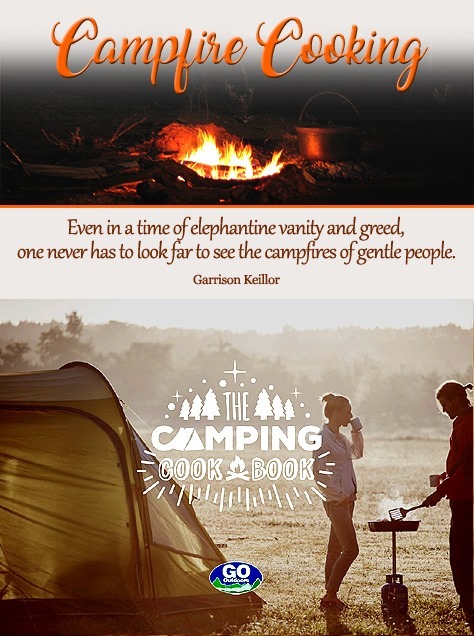 setting up camp menus and the recipes to fill them with. and tasty food you’ll want to make again and again. 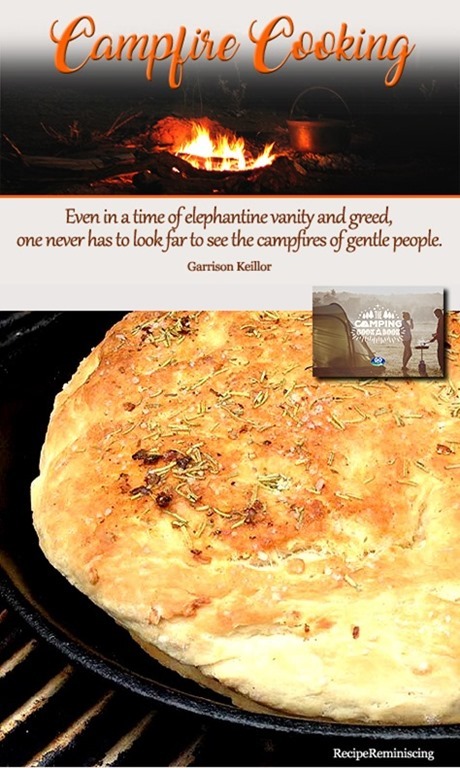 It’s a book full of recipes tested by experience . . . cookery hints . . . camp tricks . . . outdoor merriment. 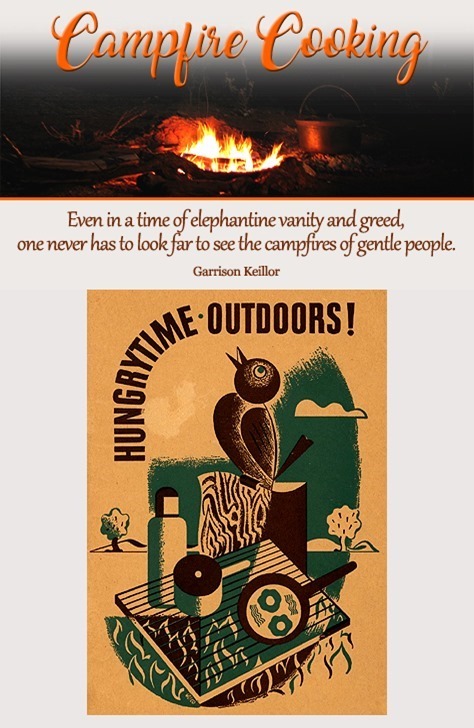 When you and your friends head for the wonderland of the great outdoors, everybody’s going to want to eat! You’ll get a real kick out of being able to produce a delicious outdoor meal – one that’s fun and easy to fix. fry the waffles on the camp fire in the frying pan.